The latest edition of Death Row USA from the NAACP Legal Defense and Educational Fund is now available. The report reveals that the number of people on death rows across the country dropped by almost 90 inmates from one year ago. There were 3,471 inmates on death row as of October 1, 2004. In 2005, the death row population had shrunk to 3,383. California's death row remains the largest in the country with 648 people, followed by Texas (414), Florida (388), and Pennsylvania (233). The report also reveals that of those jurisdictions having more than 10 people on death row, the highest percentage of minorities are in Pennsylvania (70%) and Texas (69%). According to the NAACP Legal Defense Fund's quarterly report, Death Row U.S.A., the number of people on death rows around the country declined again as of July 1, 2005. The latest count of inmates is 3,415, down from 3,452 as of April 1 and down considerably from the 3,692 inmates recorded on October 1, 2002. About 54.5% of those on death row are members of racial minorities. Pennsylvania (70%) and Texas (69%) had the largest percentage of minority defendants on death row. Among the states with largest declines were Texas (-27), North Carolina (-5) and Alabama (-4). Some of the declines are due to juvenile offenders being removed from death row in accordance with the U.S. Supreme Court decision in Roper v. Simmons (2005). Not all such juveniles have been taken off death row. NAACP Legal Defense Fund Releases New "Death Row USA"
According to the latest edition of Death Row USA published by the NAACP Legal Defense and Educational Fund (LDF), the size of death row decreased again as of April 1, 2005. After increasing steadily for about 25 years, the death row population started decreasing in 2000. The current total for state and federal death rows is 3,452. On October 1, 2002, LDF reported a death row population of 3,697. This latest report counts 72 offenders who were juveniles at the time of their crime, though these individuals will all be removed from death row once official action has been taken in response to the Supreme Court's decision in Roper v. Simmons. Among states with at least 10 people on death row, Texas and Pennsylvania have the highest percentage of minorities among those on death row--69% and 70% respectively. See Death Row USA, Spring 2005 (April 1, 2005). See also DPIC's Death Row page. The length of time prisoners spend on death row in the United States before their executions has recently emerged as a topic of interest in the debate about the death penalty. The discussion has been spurred by the scheduled execution of Michael Ross, a Connecticut inmate who has been on death row for 17 years, and by the writings of two Supreme Court Justices who have urged the Court to consider this issue. During this time, they are generally isolated from other prisoners, excluded from prison educational and employment programs, and sharply restricted in terms of visitation and exercise, spending as much as 23 hours a day alone in their cells. This raises the question of whether death row prisoners are receiving two distinct punishments: the death sentence itself, and the years of living in conditions tantamount to solitary confinement – a severe form of punishment that may be used only for very limited periods for general-population prisoners. Moreover, unlike general-population prisoners, even in solitary confinement, death-row inmates live in a state of constant uncertainty over when they will be executed. For some death row inmates, this isolation and anxiety results in a sharp deterioration in their mental status. The length of time prisoners spend on death row in the United States before their executions has recently emerged as a topic of interest in the debate about the death penalty. The discussion increased around the execution of Michael Ross, a Connecticut inmate who had been on death row for 17 years, and has been spurred by the writings of two Supreme Court Justices who have urged the Court to consider this issue. Death-row prisoners in the U.S. typically spend more than a decade awaiting execution. Some prisoners have been on death row for well over 20 years. During this time, they are generally isolated from other prisoners, excluded from prison educational and employment programs, and sharply restricted in terms of visitation and exercise, spending as many as 23 hours a day alone in their cells. This raises the question of whether death row prisoners are being subject to two distinct punishments: the death sentence itself, and the years of living in conditions tantamount to solitary confinement – a severe form of punishment that may be used only for very limited periods for general-population prisoners. Moreover, unlike general-population prisoners, even in solitary confinement, prisoners on death-row live in a state of constant uncertainty over when they will be executed. For some death-row prisoners, this isolation and anxiety results in a sharp deterioration in their mental status. BACKGROUND When the constitution was written, the time between sentencing and execution could be measured in days or weeks. A century later, the Supreme Court noted that long delays between sentencing and execution, compounded by a prisoner’s uncertainty over time of execution, could be agonizing, resulting in “horrible feelings” and “immense mental anxiety amounting to a great increase in the offender’s punishment.” (In re Medley, 1890, as cited in Foster v. Florida, 2002). The time frame at issue in In re Medley: four weeks. But in the wake of the Supreme Court-mandated suspension of the death penalty in 1972 and its declaration in 1976 that meaningful appellate review was a prerequisite to any constitutionally acceptable scheme of capital punishment, numerous reforms have been introduced in an attempt to create a less arbitrary system. This has resulted in lengthier appeals, as mandatory sentencing reviews have become the norm, and continual changes in laws and technology have necessitated reexamination of individual sentences. Death penalty proponents and opponents alike say such careful review is imperative when the stakes are life and death. “People are adamant . . . that every avenue should be exhausted to make sure there is no chance (the condemned) are not guilty,” former Georgia Attorney General Mike Bowers said in 2001. “The surer you are, the slower you move.” (Atlanta Constitution, October 27, 2001). The years it takes to carry out a death sentence exact a huge toll – on taxpayers, victims’ families, and the prisoners themselves. Yet without thorough appeals, mistakes in death penalty cases would be missed. As of March 2017, 24 of the men and women wrongfully convicted and sentenced to death since states resumed capital punishment in the 1970s had waited 20 or more years to be exonerated. Ten who were exonerated between 2013 and 2015 had waited 25 years or more for their exonerations and, for eight, exoneration took 30 years or more. The following information is taken from the Bureau of Justice Statistics: Capital Punishment and is the statistical data of the death-row population for 12/31/2012. 55.8% of the death-row population is White, 41.9% is Black and 2.3% is of another race. 8,032 people have been sentenced to death from 1977 until 2012. 8.6% of death-row prisoners had a prior homicide conviction. The median education level of death-row prisoners is 12th grade. 54.5% of death-row prisoners have never married; 20.2% are divorced or separated; 21.8% are currently married; and 3.5% are widowed. 67.1% had prior felony convictions. As of 12/31/11, 25.8% of all death-row prisoners were age 30 to 39, and 48% were age 25 to 44. 0.9% of deathrow prisoners are under the age of 25, and 3.8% are older than 65. Among all prisoners under sentence of death, half were age 20 to 29 at the time of arrest; 11% were age 19 or younger; and fewer than 1% were age 55 or older. The average age at time of arrest was 28 years. The Supreme Court has not yet accepted any case based on the length of a prisonerer's tenure on death row, but both Justices Stephen Breyer (pictured) and former Justice John Paul Stevens have questioned the constitutionality of the long delays. Stevens was the first to broach the topic in court writings in a 1995 case involving a Texas man who had spent 17 years on death row. He urged lower courts to act as “laboratories” for examining whether executing prisoners after prolonged periods on death row might violate the Eighth Amendment. (Lackey v. Texas). Breyer added that the issue is “an important undecided one,” though neither Justice dissented from the Court’s decision declining to consider the appeal. In a subsequent case, Breyer wrote, "It is difficult to deny the suffering inherent in a prolonged wait for execution," dissenting from the Court’s decision not to hear the appeals of two death-row prisoners – one who had spent nearly 25 years on Florida’s death row and one who had spent nearly 20 years on Nebraska’s. (Knight v. Florida; Moore v. Nebraska, 1999). Justice Clarence Thomas, concurring with the decision not to review the two cases, criticized Breyer’s opinion and blamed the Supreme Court’s own “Byzantine death penalty jurisprudence” for the execution delays. “It is incongruous to arm capital defendants with an arsenal of ‘constitutional’ claims with which they may delay their executions, and simultaneously to complain when executions are invariably delayed,” he wrote. But Breyer noted that the “astonishingly long delays” experienced by the prisoners were largely a result of "constitutionally defective death penalty procedures,” not frivolous appeals brought on behalf of prisoners. In 2009, the U.S. Supreme Court declined review in Thompson v. McNeil, but three Justices issued strongly worded statements about the importance of the legal issue raised. William Thompson had been on death row in Florida for 32 years. He claimed the excessive time he spent on death row amounted to cruel and unusual punishment under the Eighth Amendment. Justice John Paul Stevens, in an opinion respecting the denial of certiorari, called the treatment of Thompson during his 32 years on death row “dehumanizing,” and noting that Thompson “has endured especially severe conditions of confinement, spending up to 23 hours per day in isolation in a 6- by 9-foot cell,” as well as two near executions in which he received stays of execution “only shortly before he was scheduled to be put to death.” Justice Stevens added that neither retribution nor deterrence were served in such a case and “a punishment of death after significant delay is ‘so totally without penological justification that it results in the gratuitous infliction of suffering.’” (quoting Gregg v. Georgia (1976)). Justice Stephen Breyer summed up why he believed the Court should take this case: "The question here, however, is whether the Constitution permits [the] execution after a delay of 32 years—a delay for which the State was in significant part responsible." Justice Clarence Thomas again disagreed with Breyer, pointing to the cruelty of the murder for which Thompson had been sentenced to death and asserting that Thompson himself had caused the delays in question. In Baze v. Rees, I suggested that the "time for a dispassionate, impartial comparison of the enormous costs that death penalty litigation imposes on society with the benefits that it produces has surely arrived." [O]ur experience during the past three decades has demonstrated that delays in state-sponsored killings are inescapable and that executing defendants after such delays is unacceptably cruel. This inevitable cruelty, coupled with the diminished justification for carrying out an execution after the lapse of so much time, reinforces my opinion that contemporary decisions "to retain the death penalty as a part of our law are the product of habit and inattention rather than an acceptable deliberative process." Justice Stevens pointed to DPIC's list of exonerated defendants in support of his point that a careful review of capital cases is necessary. (See A. Liptak, “Justices Rule on Legal Effects of Slow-Moving Cases,” New York Times, March 9, 2009; see also Thompson v. McNeil, No. 08-7369, cert. denied; Stevens, J., respecting denial of cert. ; Thomas, J., concurring; Breyer, J., dissenting (March 9, 2009)) (intenal citations omitted). In 2014 and 2015 in oral arguments before the U.S. Supreme Court, Justice Anthony Kennedy raised concerns about the extensive time inmates spend on death row and the relation between this time and the soundness of the death penalty system. Click here for his questions. OTHER CASES: Manuel Valle was executed in Florida on Sept. 28, 2011. The Supreme Court delayed his execution for several hours, and Justice Breyer dissented from the decision allowing it to go forward. Breyer wrote that Valle's 33 years on death row were a cruel and unusual punishment: "I have little doubt about the cruelty of so long a period of incarceration under sentence of death." Ultimately, he indicated that the goals of due process and timely executions may be irreconcilable: "It might also be argued that it is not so much the State as it is the numerous procedures that the law demands that produce decades of delay. But this kind of an argument does not automatically justify execution in this case. Rather, the argument may point instead to a more basic difficulty, namely the difficulty of reconciling the imposition of the death penalty as currently administered with procedures necessary to assure that the wrong person is not executed." (Valle v. Florida, No. 11-6029, Sept. 28, 2011). Texas executed Rolando Ruiz on March 7, 2017. Ruiz's lawyers had urged the Court to consider the constitutionality of subjecting him to extended solitary confinement on death row. They wrote, "At this point, a quarter-century has elapsed since Mr. Ruiz committed a contract murder in 1992, two days after he turned twenty years old. Mr. Ruiz has lived for over two decades under a death sentence, spent almost twenty years in solitary confinement, received two eleventh-hour stays of execution, and has received four different execution dates.” As in Valle's case, the execution was delayed for several hours as the Supreme Court considered whether to review the issue. Ultimately, the Court declined to consider the claim and permitted the execution to go forward. Justice Breyer disssented, saying, "Mr. Ruiz argues that his execution 'violates the Eighth Amendment' because it 'follow[s] lengthy [death row] incarceration in traumatic conditions,' principally his 'permanent solitary confinement.' I believe his claim is a strong one, and we should consider it." 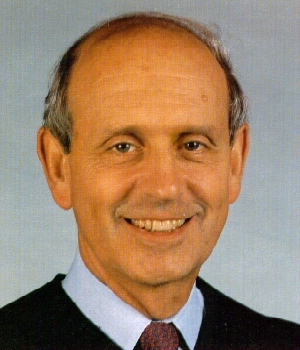 Justice Breyer noted that the Court has had "serious objections" to extended solitary confinement dating back to In re Medley in 1890, when the Court, "speaking of a period of only four weeks of imprisonment prior to execution, said that a prisoner’s uncertainty before execution is 'one of the most horrible feelings to which he can be subjected.'" He also quoted fellow Justice Anthony Kennedy, who in 2015 urged the court to consider the constitutionality of extended solitary confinement. Breyer noted in a dissent in a similar case that British jurists have suggested that the Bill of Rights of 1689 – a document he describes as “relevant to the interpretation of our own Constitution” – may prohibit some delays as cruel and unusual. (Elledge v. Florida, 1998). In a landmark 1993 ruling, the British court that serves as the highest appeals court for Caribbean Commonwealth countries, found that it was “inhumane and degrading” to hang anyone who had spent more than five years on death row, amounting to double punishment, and that such prisoners must have their death sentences commuted to life in prison. (The Independent, Nov. 3, 1993). The committee’s seven Law Lords did not find the death penalty itself to be illegal. But “there is an instinctive revulsion against the prospect of hanging a man after he has been held under sentence of death for many years,” they wrote. “What gives rise to this instinctive revulsion? The answer can only be our humanity. We regard it as an inhuman act to keep a man facing the agony of execution over a long extended period of time.” (Ibid). The decision, known as the Pratt and Morgan ruling, resulted in the commutation of scores of death sentences in Jamaica, Bermuda, Barbados and Trinidad and Tobago, cutting the death row population of English-speaking Caribbean nations by more than half. (The Miami Herald, September 8, 1998). The Supreme Court of Canada, which does not have the death penalty, ruled in 2001 that two Canadian citizens charged with murder in Washington state could be extradited only with the guarantee that they would not receive the death penalty. The Canadian court found that the potential for long incarcerations before execution was a “relevant consideration” in determining whether extradition to the United States violates principles of “fundamental justice.” (United States v. Burns, S.C.R. 283, 353, 123, cited in Foster v. Florida, 2002). In 2009, the President of Kenya commuted the death sentences of all of the over 4,000 death row inmates to life, citing the wait to face execution as "undue mental anguish and suffering." Psychologists and lawyers in the United States and elsewhere have argued that protracted periods in the confines of death row can make inmates suicidal, delusional and insane. Some have referred to the living conditions on death row – the bleak isolation and years of uncertainty as to time of execution – as the “death row phenomenon,” and the psychological effects that can result as “death row syndrome.” The origins of these concepts are often traced to the 1989 extradition hearings of Jens Soering, a German citizen who was charged with murders in Virginia in 1985 and who fled to the United Kingdom. Soering argued to the European Court of Human Rights that the conditions he would face during the lengthy period between sentencing and execution would be as psychologically damaging as torture. The court agreed. In its ruling that he could not be sent to a place that would sentence him to death, the court cited not the death penalty itself, but rather the “Death Row phenomenon” by which convicts spent years awaiting execution while their cases were appealed. (Associated Press, July 27, 1989). He was extradited in 1990, but only with the prosecutors’ promise not to seek the death penalty. The case has been cited as precedent in international extradition cases, though today, courts in countries without the death penalty today often will not extradite to the United States because of the possibility of execution itself, regardless of how long the wait on death row, since the death penalty is seen as a violation of human rights. America’s death row population is aging significantly: A record 137 prisoners were 60 years old or older as of 2005. That figure represents a spike in the senior death row population, which numbered just 39 in 1996. Unlike elderly prisoners in the general population, death row seniors typically are not housed in prison geriatric facilities or placed in “end of life” programs, but rather are segregated in individual cells within special facilities. Some death row seniors committed crimes late in life, but many are there at such advanced age because of the inevitable slowness of the capital appeals process (Ibid). In 2004, a 74-year-old man was put to death in Alabama – the oldest inmate executed in the United States in more than six decades – for a murder he committed in 1977. Before his execution, J.B. Hubbard forgot who he was at times because of dementia. He suffered from colon and prostate cancer, and was so weak that other inmates sometimes walked him to the shower and combed his hair. (Washington Post, August 6, 2004). Two other elderly inmates – one of them an 89-year-old man debilitated by deafness, arthritis and heart disease – have asked federal judges to rule on the constitutionality of executing inmates suffering from Alzheimer’s disease, dementia or other age-related afflictions (USA Today, February 10, 2005). Whatever the eventual outcome, legal scholars say such cases have highlighted the unseemliness of executing people who have become so old. “Dead man walking is one thing,” said Jonathan Turley, a George Washington University law professor who has worked with older prisoners. “Dead man being pushed along to the execution chamber in a wheelchair is another thing.” (Ibid). The length of time that U.S. inmates spend on death row has gotten increasingly longer in recent years, and raises questions about the constitutionality of this added punishment. Although the U.S. Supreme Court has not addressed this issue, it has been cited as a serious concern by death penalty experts in the U.S. and by courts outside the U.S. Shortening the time on death row would be difficult without either a significant allocation of new resources or a risky curtailment of necessary reviews. Hood, Roger. The Death Penalty: A Worldwide Perspective, Third Edition. Oxford: Oxford University Press, 2002. Schabas, William. The Abolition of the Death Penalty in International Law, Second Edition. Cambridge: Cambridge University Press, 1997. E. Rapaport, "A Modest Proposal: The Aged of Death Row Should Be Deemed Too Old to Execute," 77 Brooklyn Law Review 1089 (2012). A. Smith, "THE ANATOMY OF DEATH ROW SYNDROME AND VOLUNTEERING FOR EXECUTION", Boston University Public Interest Law Journal, 17 B.U. Pub. Int. L.J. 237 (2008). A. Alarcon, "Remedies for California's Death Row Deadlock," 80 So. Cal. Law Rev. 697 (2007). J. Blume, "Killing the Willing: 'Volunteers,' Suicide and Competency," 103 Michigan Law Review 939 (2005). “Death row population is graying,” USA Today, February 10, 2005. “Killer’s fate may rest on new legal concept,” New York Times, February 1, 2005. “Connecticut execution puts the spotlight on ‘death row syndrome’,” Associated Press, February 1, 2005. “Convicts face faster trip to the gallows; Caribbean irked at legal delays,” The Miami Herald, September 8, 1998. “Men heard trial drops as they waited for death; Condemned inmates lived in ‘inhuman’ conditions,” The Independent (London), November 3, 1993. The conditions of confinement are so oppressive, the helplessness endured in the rollercoaster of hope and despair so wrenching and exhausting, that ultimately the inmate can no longer bear it, and then it is only in dropping his appeals that he has any sense of control over his fate. Dr. Stuart Grassian, expert on death row inmates. When the constitution was written, the time between sentencing and execution could be measured in days or weeks. A century later, the Supreme Court noted that long delays between sentencing and execution, compounded by a prisoner’s uncertainty over time of execution, could be agonizing, resulting in “horrible feelings” and “immense mental anxiety amounting to a great increase in the offender’s punishment.” (In re Medley, 1890, as cited in Foster v. Florida, 2002). But in the wake of the Supreme Court-mandated suspension of the death penalty from 1972 to 1976, numerous reforms have been introduced to create a less arbitrary system. This has resulted in lengthier appeals, as mandatory sentencing reviews have become the norm, and continual changes in laws and technology have necessitated reexamination of individual sentences. Death-penalty proponents and opponents alike say such careful review is imperative when the stakes are life and death. “People are adamant . . . that every avenue should be exhausted to make sure there is no chance (the condemned) are not guilty,” former Georgia Attorney General Mike Bowers said in 2001. “The surer you are, the slower you move.” (Atlanta Constitution, October 27, 2001). The years it takes to carry out a death sentence exact a huge toll – on taxpayers, victims’ families and inmates themselves. Yet without thorough appeals, mistakes in death penalty cases would be missed. The Supreme Court has not yet accepted any case based on the length of an inmate’s death row tenure, but both Justices Stephen Breyer (pictured) and John Paul Stevens have questioned the constitutionality of the long delays. Stevens was the first to broach the topic in court writings in a 1995 case involving a Texas man who had spent 17 years on death row. He urged lower courts to act as “laboratories” for examining whether executing inmates after prolonged periods on death row might violate the Eighth Amendment. (Lackey v. Texas). In a subsequent case, Breyer wrote, "It is difficult to deny the suffering inherent in a prolonged wait for execution," dissenting from the Court’s decision not to hear the appeals of two inmates – one who had spent nearly 25 years on Florida’s death row and one who had spent nearly 20 years on Nebraska’s. (Knight v. Florida; Moore v. Nebraska, 1999). Justice Clarence Thomas, concurring with the decision not to review the two cases, criticized Breyer’s opinion and blamed the Supreme Court’s own “Byzantine death penalty jurisprudence” for the execution delays. America’s death row population is aging significantly: A record 110 prisoners were at least 60 years old as of 2003. (USA Today, February 10, 2005). That figure represents a spike in the senior death row population, which numbered just 39 in 1996. Unlike elderly prisoners in the general population, death row seniors typically are not housed in prison geriatric facilities or placed in “end of life” programs, but rather are segregated in individual cells within special facilities. “Killer’s fate may rest on new legal concept,” The New York Times, February 1, 2005. *includes cases where the sentence was reversed but decision not yet final. (source: Death Row USA, Jan. 1, 2005).